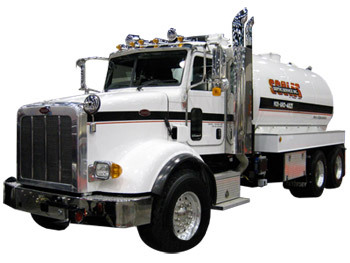 We offer a variety of septic services to residential, commercial and institutional clients in Caledon, North York and the Greater Toronto Area. We can work with you to help ensure your septic system functions trouble-free for many years to come. Whether you own a small waterfront cottage, a large home just outside of town, or a commercial establishment, we’ve the equipment, knowledge and experience for any sized project. We also pride ourselves on being exceptionally professional with uniformed service reps, clean trucks, modern equipment and the latest technology in odour control. Have you ever wondered what you can flush or pour down your drains or about the impact of a garbage disposal units and a septic system? Take a look at our Septic FAQs page to find the answers to some of your septic related questions?